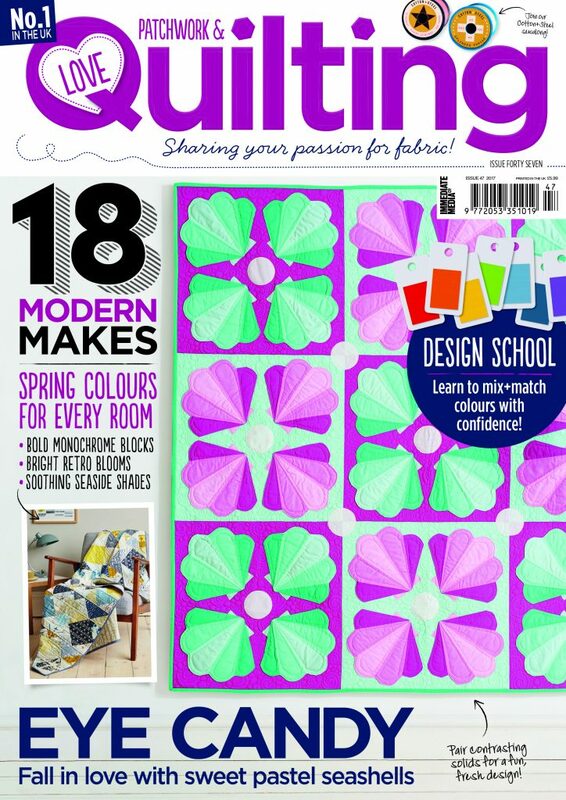 Love Patchwork and Quilting magazine issue 47 is out in UK and available to digital download today. 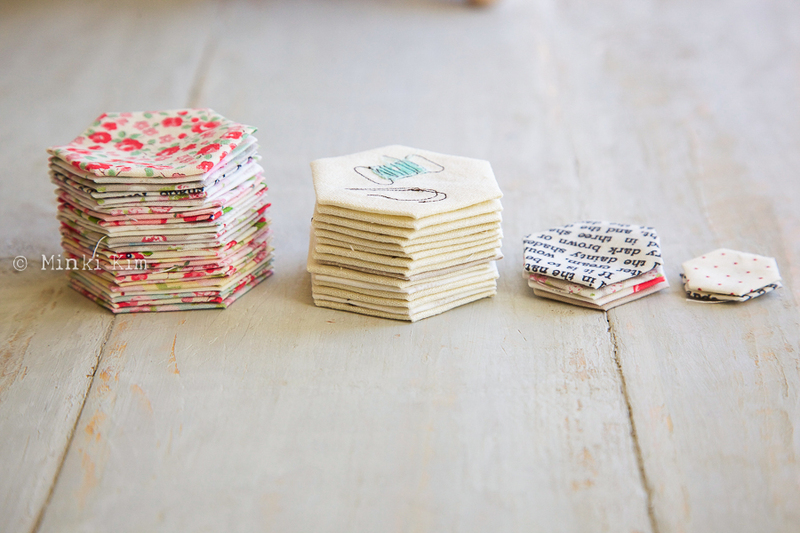 My sew illustrated Hexie Quilt is inside. My sewing themed illustrations are inside of the magazine. 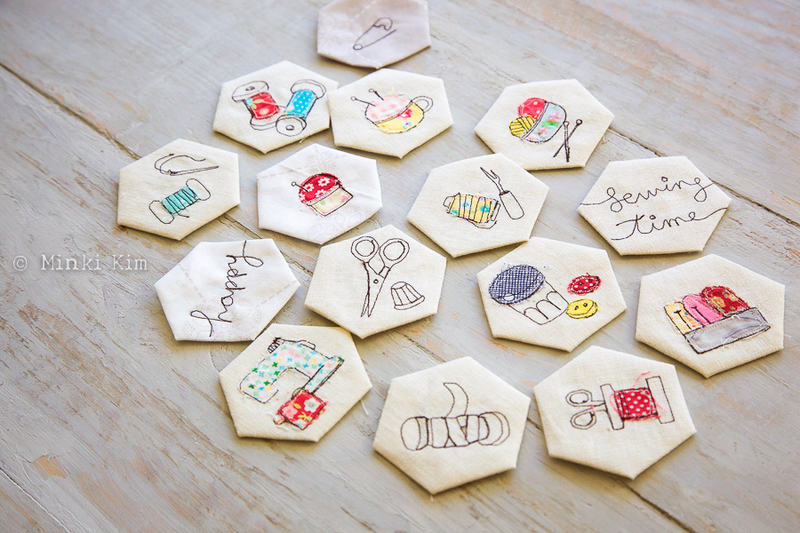 You need these many hexies to make the mini quilt. 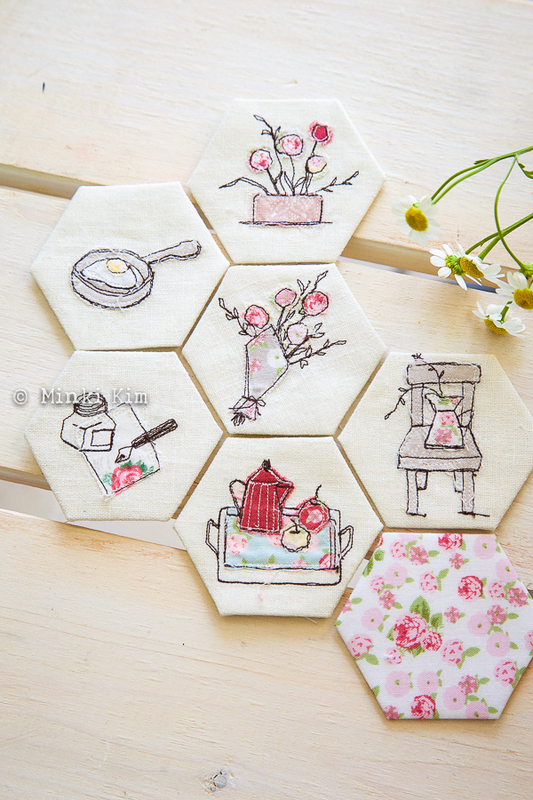 And do you remember my old sew-illustrated hexies? 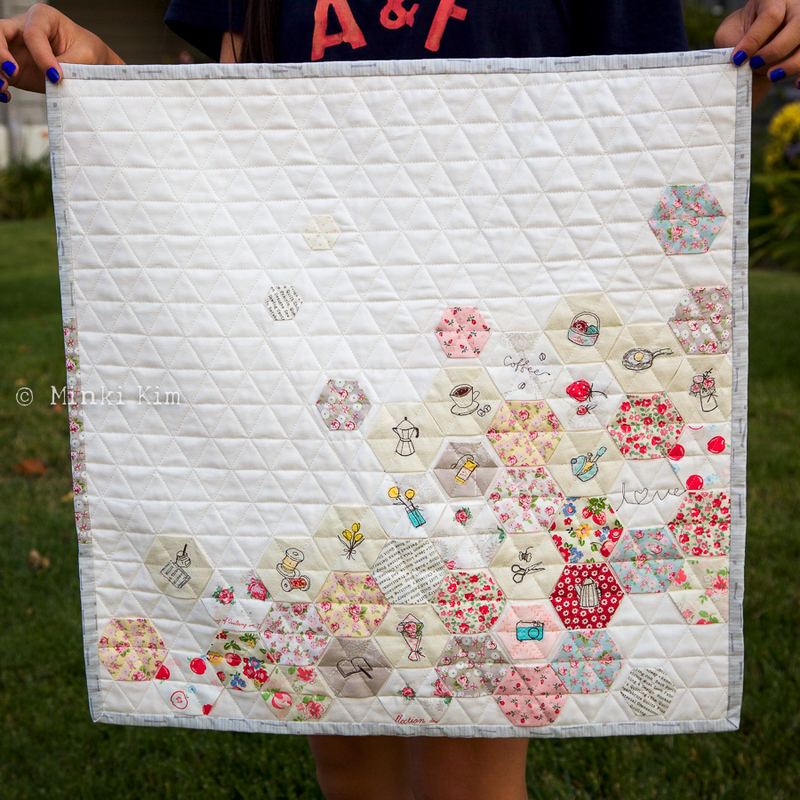 I made this mini quilt first and then sewing themed one later for LP&Q. I was inspired by Nicole’s modern hexies. This is just lovely Minki as is all your work. Love it Minki! Its gorgeous! 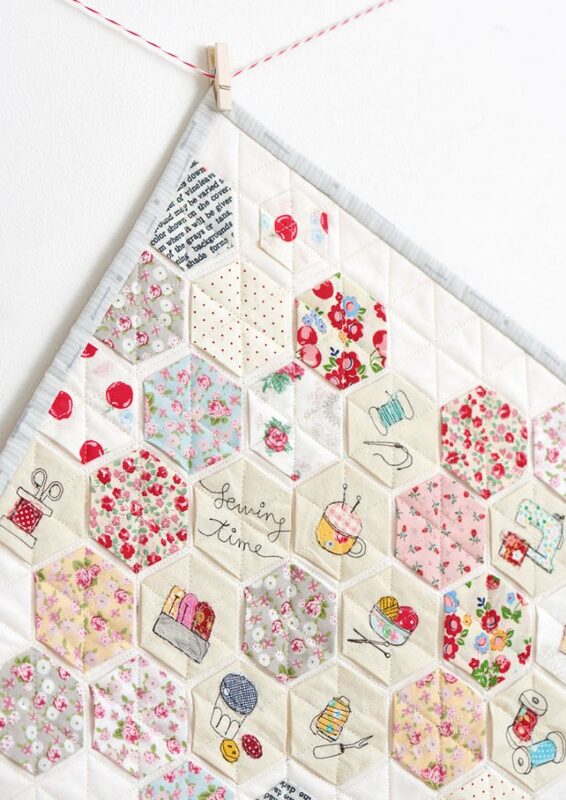 A fabulous modern take on the traditional hexi quilt and in a size that looks completely do-able. You’ve done it again! This is so beautiful, really inspirational. Thank you for sharing. Bought today the magazine in the store, I love your hexie quilt and want to make a baby quilt with the pattern.